The United States Ambassador to the United Nations, Nikki Haley, said Monday that the United States will not ignore alleged reports coming from the mostly Muslim Russian Republic of Chechnya that homosexual men were being rounded up, detained, and in some cases tortured or even killed. Haley said the U.S. is leading efforts at the U.N. to address human rights abuses around the globe, The Hill reported. 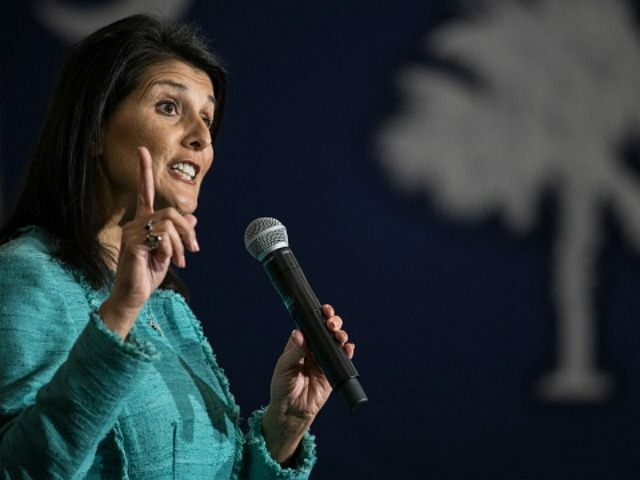 “We are against all forms of discrimination, including against people based on sexual orientation,” Haley said. “When left unchecked, discrimination and human rights abuses can lead to destabilization and conflict. In recent days, LGBT activists inside the country and media around the globe have reported that police in Chechnya have detained more than 100 people suspected of being homosexual or associating with that lifestyle. “In Chechnya, the command was given for a ‘prophylactic sweep’ [of homosexuals] and it went as far as real murders,” reports the independent Russian opposition newspaper Novaya Gazeta. Chechen President Ramzan Kadyrov, an ally of Russian President Vladimir Putin, reportedly ordered the crackdown, a claim that Kadyrov denies. “You cannot arrest or repress people who just don’t exist in the republic,” Kadyrov spokesman Alvi Karimov told the Russian news agency Interfax. “If such people existed in Chechnya, law enforcement would not have to worry about them since their own relatives would have sent them to where they could never return,” an official said. President Kadyrov introduced Islamic rule in Chechnya. An LGBT advocacy group explained the situation inside Chechnya on its website. “The Russian LGBT Network continues to work on the evacuation of those persecuted by the authorities in Chechnya because of their real or assumed homosexuality,” the post states. “To date around 60 people have contacted the Russian LGBT Network.